Home DEMOCRACY Ricardo Boechat, Journalist. 1952-2019. On the morning of 11th January, a 44 year old Bell B06 JetRanger helicopter carrying TV Bandeirantes News Anchor, Ricardo Boechat crashed in São Paulo, near Anhanguera, as it brought the veteran journalist back from a speech in the neighbouring city of Campinas. 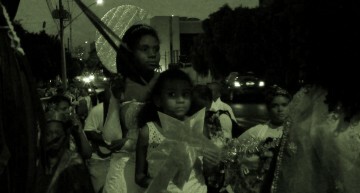 Boechat’s death became the latest in a succession of national tragedies to hit Brazil in recent months and years. 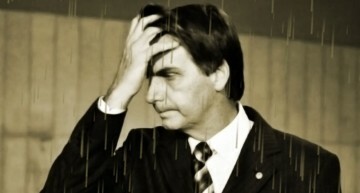 In his final radio programme for BandNews FM, hours before he died, he lamented the negligence and impunity which marked such events in the country, most recently the fire days before which killed 10 youth footballers at FC Flamengo’s training facility, and the Brumadinho mining disaster which left hundreds dead or missing. Born in Argentina in 1952, as a young man he was a militant of the Brazilian Communist Party, the PCB. Ricardo Boechat’s journalistic career began as a reporter at O Estado de São Paulo and Jornal do Brasil during the most brutal period of the 1964-85 Military Dictatorship, the so called years of lead under Emílio Garrastazu Médici. From those days forward, he made a name for himself in radio, then in television as an anchor for the morning news on Globo network, and finally, for the last 13 years of his life, on Jornal Bandeirantes, continuing the entire time as a one of the nation’s most popular radio news analysts. In an era of hackery and flackery, when those entering the profession see their ideals shredded by financial pressure, think tanks and corporate interests distort much of what we watch and read, and money is simply truth, Boechat was a rare example of journalistic integrity in the kind of position he occupied. Unlike most Brazilian news anchors, who keep their personal opinions to themselves when off camera, Boechat was a fierce critic of hypocrisy in public figures and whenever he had a few minutes in front of a radio microphone he took no prisoners. A highly respected journalist, even by those who diverged with him ideologically, he was one of the few prominent and established TV News presenters who maintained a critical position during recent political turmoil. A vocal critic of the 2016 Coup, of bias and overreach in Operation Lava Jato, and the conduct of Jair Bolsonaro, there are many in Government and in corporate media who today will be eulogising Boechat, whilst glossing over his journalism, erasing his own words, and omitting his sharp analysis of Brazil’s democratic descent over the past decade. In November 2014, following Dilma Rousseff’s re-election he criticised the defeated PSDB for their opportunism and hypocrisy in calls for the President’s impeachment. “‘Oh, but they did not catch anyone!’ Now, now, President! For that you need to also think that under Sarney’s management there was nobody robbing Petrobras, under the management of Fernando Collor there was nobody robbing Petrobras, under the management of Itamar Franco there was nobody robbing Petrobras. Petrobras has always had, to a greater or lesser extent, accusations of embezzlement. I won an Esso Award in ’89 denouncing robbery at Petrobras. 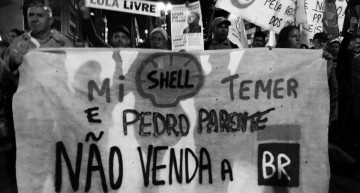 Petrobras has always been a victim of gangs that operated there, formed by its staff or people who were appointed by politicians and businessmen, suppliers, contractors. So this shame of former President Fernando Henrique Cardoso is rather an attempt at the party political manipulation of a police issue.” Boechat said. He also maintained a skeptical view of the synthesized, telegenic protests which emerged thereafter, calling for Rousseff’s removal. “I think it’s more than healthy, I think it is very good that they come out, mainly because governments under pressure tend to be clearer, more objective, focused on the collective interest, but I think using these demonstrations to sell the idea of impeachment, asking for an impeachment of President Dilma, is as ridiculous as these demonstrations demanding a return to military dictatorship. Those asking for impeachment, even if they do not ask for the return of the military dictatorship, have the same Coup DNA, the same kind of idiocy, of imbecility, because Dilma, whether they like it or not, was legitimately elected not by North Easterners as part of them prefer to think, in a neurotic and prejudiced way, but by the people in Minas Gerais who Aecio Neves ruled over, by the people of Rio de Janeiro…. So, she was elected by a majority of Brazil’s voters. It’s over, turn this page and let’s move on.” he insisted. Two years later in August 2016 as she faced the final stage of her impeachment, Ricardo Boechat reiterated that Dilma Rousseff was the victim of a “political coup”. He was also highly critical of how the media had covered the impeachment. Whilst an early supporter of Operation Lava Jato in concept, his position became progressively more critical and he called out both the new Justice and Security Minister Sérgio Moro and his colleague Deltan Dellagnol for the political partisanship which was driving the anti-corruption purge. In particular he called out the treatment of former President Lula, his media circus arrest, and the fact that high profile PSDB politicians implicated in the operation had evaded punishment. He accused Moro of acting politically long before the US-trained Prosecutor-Judge took the position in Bolsonaro’s Government. Always a controversial figure, Boechat made many enemies. When he joked on the radio about Lula having conjugal visits from Dilma Rousseff, her former Minister of Women’s rights, Eleanora Menicucci demanded an apology on behalf of all Brazilian women. When legendary Bahian capoeria master Mestre Moa was stabbed to death by a Bolsonaro supporter on the night of the elections last year, Boechat denied racism had anything to do with it, drawing the ire of Salvador. Moa’s friends and family wrote a public letter to the station demanding an apology. His high profile feud with Pastor Silas Malafaia in 2015 has led some Evangelicals to claim it was the reason for his death. In 2015 Boechat also made an ill-judged analogy between the Workers Party and Rio de Janeiro Militias – Militias whom after all now have the ear of the President himself. His skepticism continued throughout the election and into Bolsonaro’s Presidency including commentary on the corruption scandal enveloping the would-be political dynasty. In addition, his criticism of future Vice President General Hamilton Mourão back in September 2017 had already made Boechat the target of far-right abuse. The journalist had attacked Mourãos speech at a Masonic event in which the General had talked of the need for a Military takeover of Brazil’s Government – something which has now effectively happened. With the Brazilian media in crisis, extreme-right and military in power, the loss of a high profile, experienced, authoritative, and critical voice, at such a crucial moment, will be felt far beyond those who shared his political points of view. Ricardo Boechat leaves behind his wife, Journalist Veruska Seibel and 6 children, Beatriz, Rafael, Paula, Patrícia, Valentina, and Catarina.